A fade haircut is one of the simplest ways of adding detail to your hairstyle. 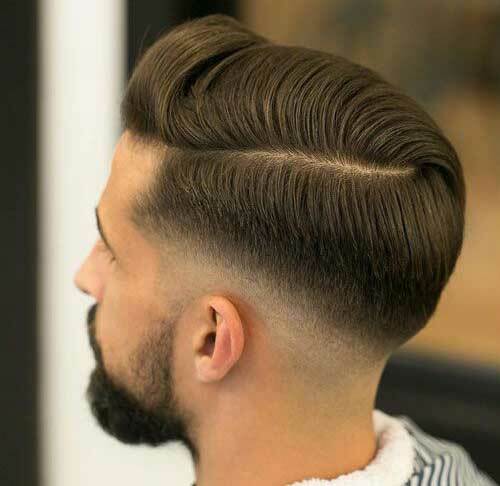 This classic technique is used to effectively taper men’s hair and is a type of haircut that leaves little or no hair at the sides and back of the head. A fade cut is progressive and can go from no hair into more hair as you move to the top of the head. There are different types of fades, and the type you choose will have a dramatic effect on the way your haircut turns out. Let’s go over some of the common fade haircuts that your barber can pull off with ease. 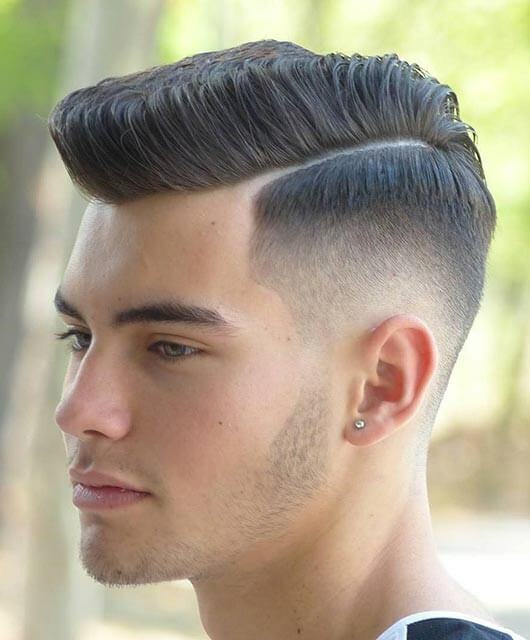 Just like the name suggests, a high fade is cut high up on the sides and back of your head. It is sometimes confused with an undercut, but the main difference is that the high fade is not as sudden. The hair is gradually shortened at a much faster rate down the back and sides of the head. If you want to pull focus to the top of your head, give the high fade a try. 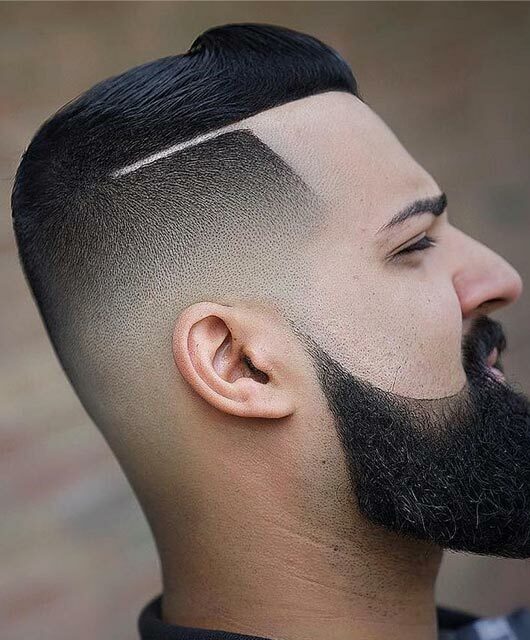 A low fade is usually cut lower at the base of the head. 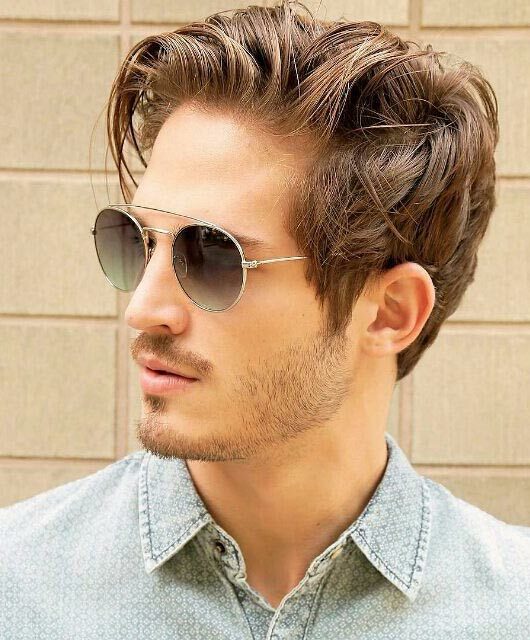 It’s great for men that want to show off more hair or manage a full head of hair. 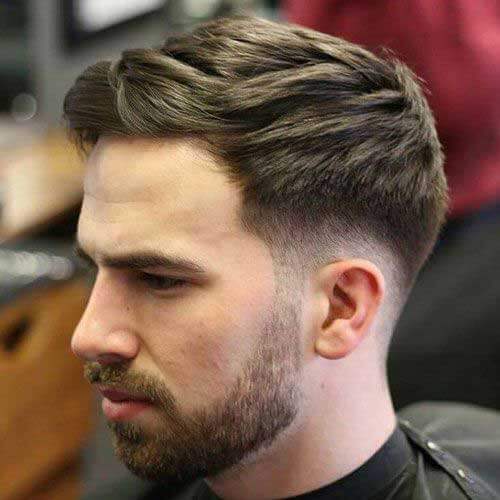 If you want to keep your hair long on top, the low fade will help you achieve this look. It is a favorite for people with thick or curly hair. It’s also a good choice for men with long beards because it’s easy to blend in with facial hair. A skin or bald haircut is when hair is completely shaved off. 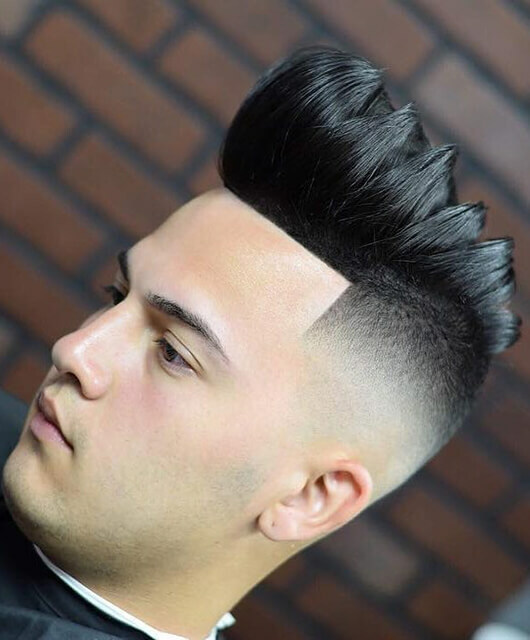 When this is combined with a fade, your haircut decreases in length as it goes down your head. The difference between this haircut and others is that the hair is cut right down to the skin, while other fades will leave a little hair. The bald cut could be a low, mid or high one. 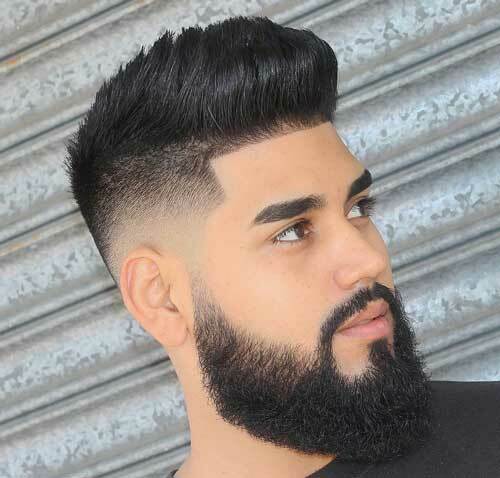 One popular use of the skin fade is to create a break between your hair and beard. The trick is to keep the length of hair on top and the beard the same to balance the look. 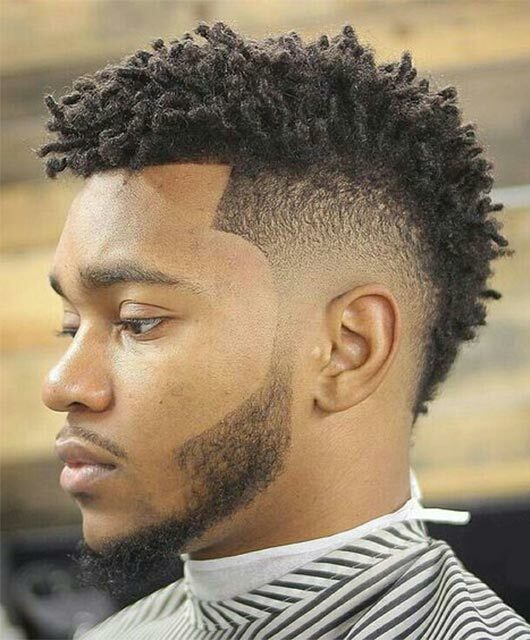 A tapered cut is almost the same as a fade; the main difference is the length of the hair. 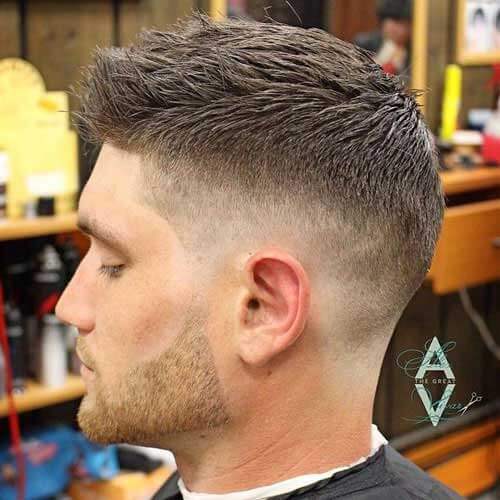 Just like any other fade haircut, a taper starts with longer hair at the top and decreases in length as you move towards the ear. The tools used in tapering hair is what makes it longer. Unlike a fade that can be achieved with only clippers, to taper hair, a barber will need a clipper and scissors. A temple fade is when hair is cut low around the temples and the length increases as you move to the top. 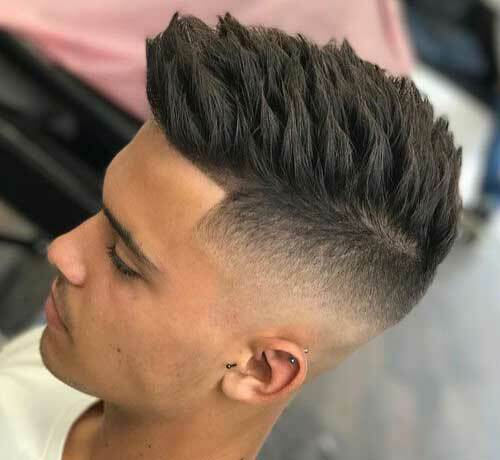 This is a good haircut for men who want to try out a fade without dramatically cutting out a significant amount of their hair. A temple fade will most times feature a low or mid fade at the back. There are many variations of the fade today and celebrities have helped make this haircut more popular. These days, even the most traditional men’s hairstyles feature a fade. As far as trends go, this is one that is here to stay.